Es un proveedor global de soluciones de seguridad IT. Conocido por sus productos Firewall y VPN, Check Point fue el pionero en la industria con el FireWall-1 y su tecnología patentada de inspección. Hoy en día la compañía desarrolla, comercializa y soporta una amplia gama de software y hardware combinados y productos de software que cubren todos los aspectos de seguridad de IT , incluyendo seguridad de red, seguridad endpoint, seguridad de datos, virtualización y gestión de seguridad. Check Point Software Technologies es la empresa líder en proveer soluciones de seguridad para Internet, al ser el único fabricante en brindar, bajo una misma plataforma, seguridad completa para el punto de entrada a redes privadas. Check Point CloudGuard provides consistent and comprehensive cloud security for virtualized datacenters to SDN, IaaS and SaaS applications, including the emerging threat of account takeover. The CloudGuard portfolio includes CloudGuard SaaS and CloudGuard IaaS, and seamlessly integrates with the largest number of cloud platforms and cloud-based applications, giving customers the freedom to choose the cloud solution that best aligns with their goals without sacrificing security. The latest extension of the SandBlast family of advanced threat prevention solutions, SandBlast Mobile is the industry’s only unified, cross-platform solution, which protects enterprises from mobile breaches. SandBlast Mobile detects and blocks both known and unknown malware, safeguards against poisoned Wi-Fi networks and man-in-the-middle attacks, as well as SMS phishing schemes. 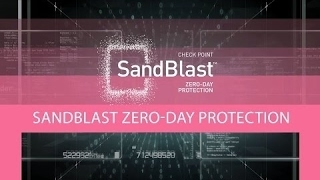 SandBlast, the most comprehensive zero day threat prevention suite, protects networks, cloud, endpoints and now mobile devices, ensuring quick delivery of safe content to your users and preventing advanced cyberattacks. The newly introduced Check Point Anti-Ransomware technology enables businesses to stay protected against cyber extortion and even the most sophisticated ransomware. The security platform of the future—consolidating networks, cloud and mobile. 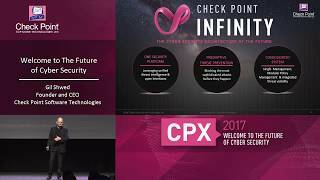 Check Point Infinity consolidates the most advanced software with the fastest, highest performing security gateways in the industry, providing a complete protection against cyber threats. 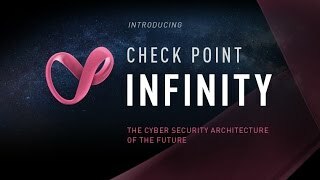 Check Point Infinity leverages unified threat intelligence and open interfaces, enabling all environments to stay protected against targeted attacks. 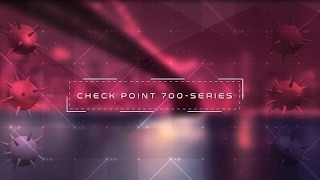 Unlike other solutions, Check Point believes in a preemptive threat prevention strategy, focused on prevention rather than detection only, to block the most sophisticated attacks before they occur. 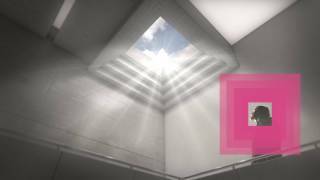 Check Point Infinity architecture consolidates management of multiple security layers, providing superior policy efficiency and enabling to manage security through a single pane of glass. The single management centrally correlates all types of events across all network environments, cloud services and mobile infrastructures.